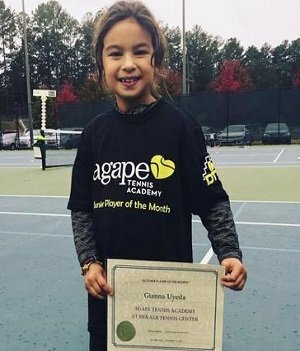 Each month the Agape coaching staff collectively selects a junior player of the month. 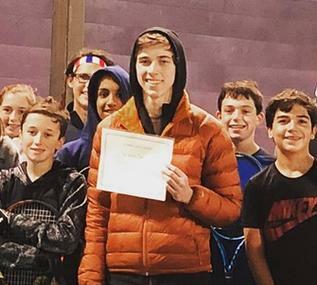 This player will have shown exceptional effort on the court, displayed improvement in their tennis game throughout the month, and will have treated their coaches and teammates with respect. Most importantly, the junior player of the month will have excelled in displaying our core values: Honesty, Excellence, Attitude, Responsibility and Teamwork! The Agape player of the month will be showcased on our community board at DTC and will receive a player of the month T-shirt. We are excited to announce Kate Richardson as our junior player of the month. The agape coaching staff selected Kate large in part due to her excellent leadership skills. Kate is a leader in every situation in Performance I class. Kate encourages her teammates and has a positive attitude daily. She has also worked very hard to improve her game dramatically over the last several months. 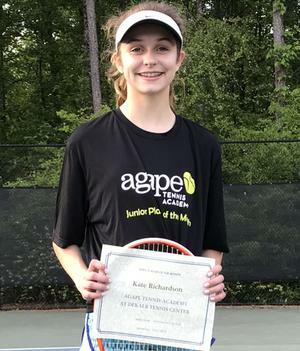 We believe that Kate has a bright future as a leader both on and off the tennis court. Ritesh is a young man of few words but his actions as well as his play speak loudly! Ritesh is in “Elite Academy” and sets a great example for his teammates by always trying his best in every situation. Ritesh’s commitment to improvement has quickly resulted in him becoming an Elite level player. It was his Elite level work ethic and humble attitude that earned Ritesh the player of the month award for February. Excellent job, Ritesh! Anvi is everything a coach looks for in a student. She is hard working, supportive to her teammates, respectful to her coaches and shows up to every class wanting to learn and get better. 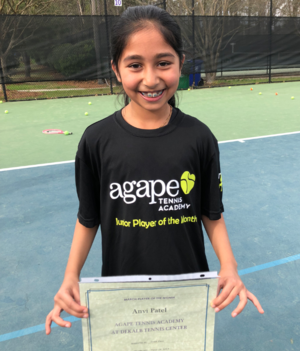 Anvi portrays all of our core values at Agape Tennis Academy perfectly. She is currently part of our Orange ball class. The future is bright both on and off the court for this young fearless warrior! Keep up the great work Anvi! Becoming the first High School player to win the junior player of the month award! 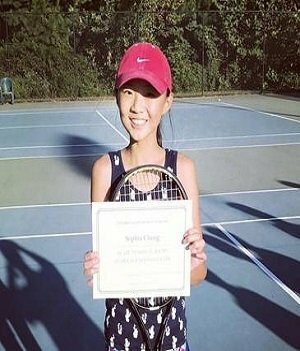 The cold weather in January did not phase Emily as she was a regular on the courts in preparation for her high school season. Emily’s consistently positive attitude and sweet spirit stood out to the coaching staff. Emily is currently in our “Elite Academy”. Emily’s strength is her mental toughness. She responds to every shot, make or miss, with a positive “next ball” approach. Emily is also a team first player. She often puts what is best for her teammates ahead of what is best for herself. Her hard work and dedication to improving paid off when she made the Lakeside High School Varsity team. Congratulations on all your accomplishments and your player of the month award! ​Kaitlyn is in Performance II class. Kaitlyn earned the player of the month award by demonstrating ALL of our core values, Honesty, Excellence, Attitude, Responsibility, and Teamwork. Kaitlyn excelled in December with her excellent play. Her attitude is her biggest strength, you’d be hard pressed to find a player that can match her optimism. She’s an excellent teammate and the first to congratulate her teammates whether she won or lost a drill. 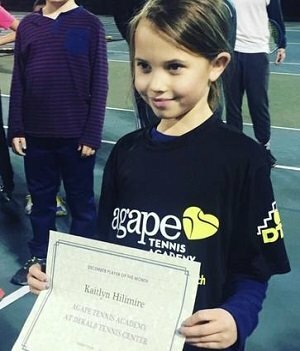 Kaitlyn’s “first player to everything” hustle made the selection clear for this month. Great job, Kaitlyn! 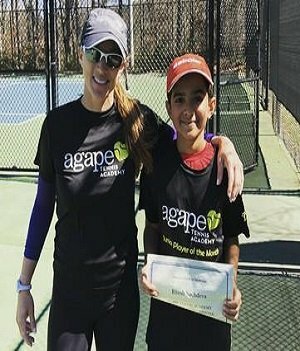 William was selected by the Agape coaching staff largely in part to his exceptional work ethic. William is in Performance I class and is a stand out when it comes to giving 100% effort. 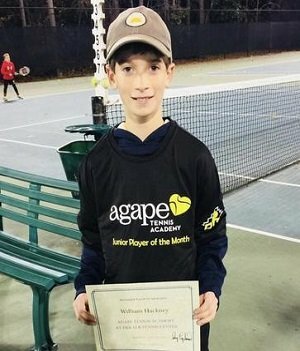 Giving 100% effort is the standard at Agape Tennis Academy, William holds himself and his teammates to this standard. Whether William is in a drill or waiting in line, his feet are always moving and he is always focused on the task at hand. We appreciate William’s effort and we see the positive results in his play. Congratulations, William! ​Gigi earned this award by demonstrating the core values. She’s an extraordinary teammate always helping others and encouraging her teammates. 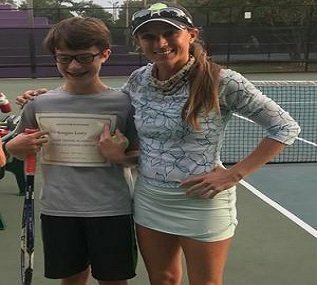 Gigi’s passion for improving as a tennis player and ability to listen to her coaches helped her improve throughout the month of October. Gigi is currently in Orange ball class. She is quickly improving as a tennis player. We are happy to have such a sweet spirit at Agape. 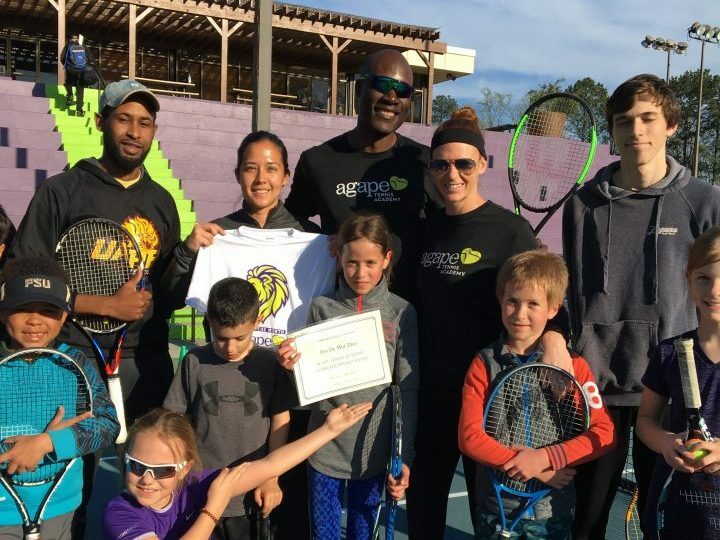 Sophia has been a part of Agape Tennis Academy at Dekalb Tennis Center from day 1. She is currently in our Performance 1 class. In Performance 1, Sophia sets a high standard for the rest of her teammates. 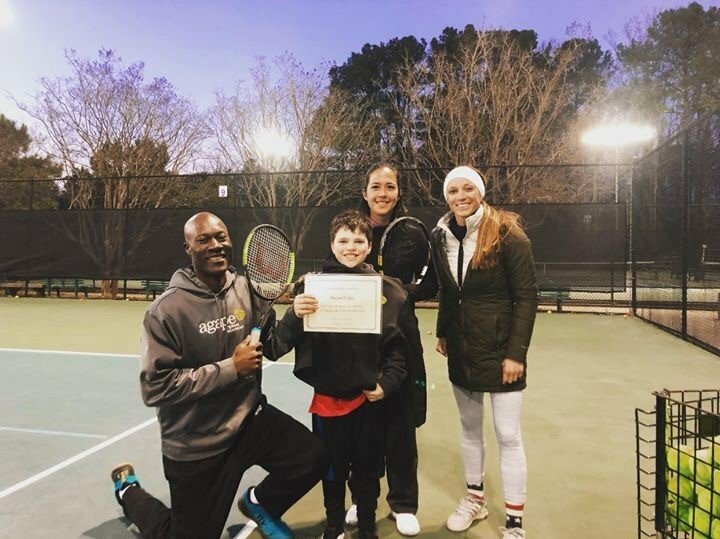 Sophia is one of the most coachable players in our tennis academy. She always goes above and beyond whatever she is asked to do and does so with a smile on her face. In the month of September she has shown a lot of improvement in her game, her strength is her consistency. 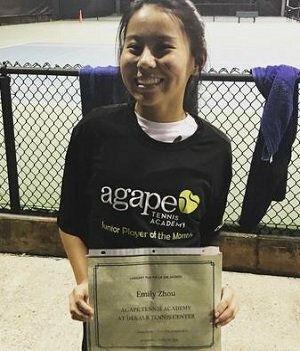 Her positive attitude and hard work helped her earn the first ever Agape player of the month award. Congratulations, Sophia!